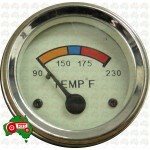 Universal Temperature Gauge To suit many models 2" (52mm) Universal Water Temperature Gau.. 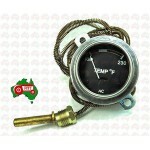 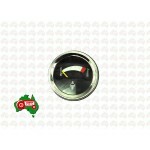 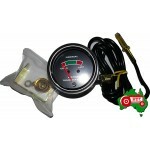 Mechanical Temperature Gauge To suit: Agricultural Tractor - TE20 Series TE20, TEA20, TED20, .. 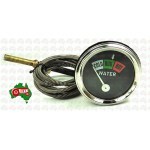 Mechanical Water Temperature Gauge Approximate sizes : Fits hole diameter of 50 mm Length of ca.. 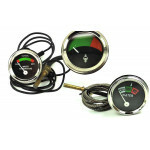 Mechanical Temperature Gauge To Suit Fordson Major - Early Type This is for 1 x mechanical.. 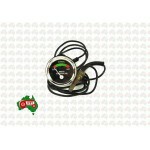 Temperature Electric Gauge To suit: Agricultural Tractor - 1200 Series 1200, 1210, 1212 Agricu.. 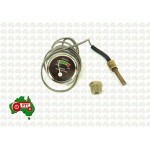 Mechanical Temperature Gauge 2" (52mm) Universal Water Temperature Gauge 2.1m (83"..
Water temperature gauge with tube suitable for Massey Ferguson To Suit : ..